These carefully crafted thank you cards are created with a hand drawn Bumble Bee illustration. They are printed on to high quality (300 gms) A6 (105 mm x 148 mm) cream card with quality envelopes to match and they are presented in a luxury black gift box with ribbon. The envelopes also have the matching image for a stylish way to thank friends and family. 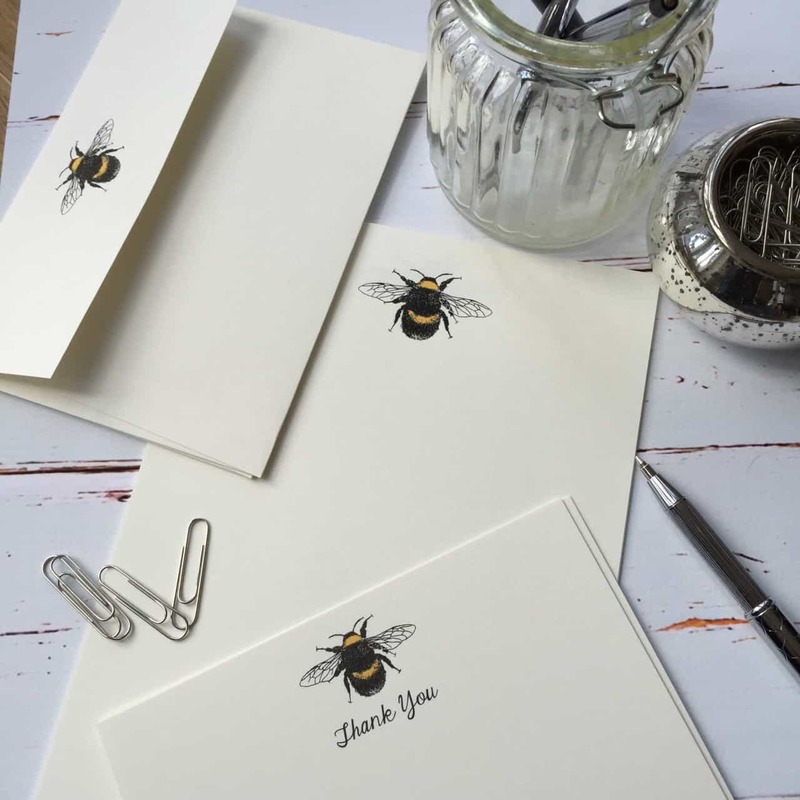 Delightful thank you cards with a hand drawn Bumble Bee illustration. Printed on to high quality (300 gms) A6 (105 mm x 148 mm) ivory/cream card. 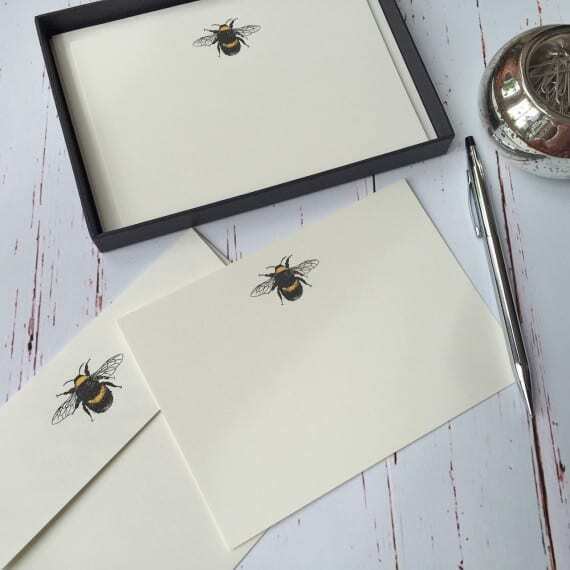 All our thank you cards come with quality envelopes with the matching illustration on the back. Our products are sent in luxury gift boxes with ribbon.